Pair the musical sounds with a wine tasting hosted on the bar patio or bring your own lawn chair to just relax and enjoy the music. Local restaurant favorites, including the Lemon Leaf Café, will provide tasty meals on the go which can be enjoyed as you listen to the evening’s entertainment. April 9-May 8, 2011 at Lancaster City Hall. Opening Reception- Saturday, April 9, noon-3 pm. Lancaster, CA April 6, 2011- The Lancaster Museum/Art Gallery’s “26th Antelope Valley Union High School District Student Art Exhibition” will be on view April 9–May 8, 2011 at Lancaster City Hall, with a free opening reception and award presentation on Saturday, April 9th from noon-3 pm. Nearly $1,400 in cash awards will be presented to the valley’s talented student artists. Presented by the City of Lancaster, the Lancaster Museum/Art Gallery Associates, and the Antelope Valley Union High School District, the exhibition encourages and supports the artistic experimentation, talent, and expression from the next generation of artists in the Antelope Valley. Featuring 94 pieces of artwork from 80 students within the school district, the exhibitors were selected by 26 participating art instructors from Antelope Valley, Eastside, Highland, Lancaster, Littlerock, Palmdale, Pete Knight, and Quartz Hill High Schools. The exhibition includes a wide variety of media such as oil, ceramic, watercolor, photography, acrylic, sculpture, charcoal, pencil, scratchboard, color pencil, pastel and mixed media. Awards are donated and selected by judges from the Lancaster Photography Association ($100), Lakes and Valley Art Guild ($100), High School District art instructors ($425 total), the Antelope Valley Union High School District Superintendent ($100), the AVUHSD administrators’ awards (over $100), the new Beryl Amspoker Memorial Award ($200), and the LMAG Associates who choose Best of Exhibition ($100), 2nd Best of Exhibition ($75), 3rd Best of Exhibition ($50), as well as winners (no cash) in each medium category. All Valley Federal Credit Union also donated an award which provides one student artist $100 to open a savings account, while City of Lancaster Mayor R. Rex Parris selected the Mayor’s Choice Award. Each year a different high school art department chairperson acts as the liaison for this exhibition. This year, Erin Jones of Pete Knight High School along with her fellow department art instructors have been very busy helping to make this a successful and inspiring exhibition. For additional information on the museum’s exhibitions, events and programs, please visit www.cityoflancasterca.org/Index.aspx?page=67 or contact the Lancaster Museum/Art Gallery at 661-723-6250 or lmagreceptionist@cityoflancasterca.org. Opening Reception: “26th Antelope Valley Union High School District Student Art Exhibition” Saturday, April 9, 2011 from noon to 3 pm at Lancaster City Hall. Enjoy light hors d’oeuvres and music with an awards presentation at 1 pm. Free admission. Please RSVP to lmagreceptionist@cityoflancasterca.org or 661.723.6250. 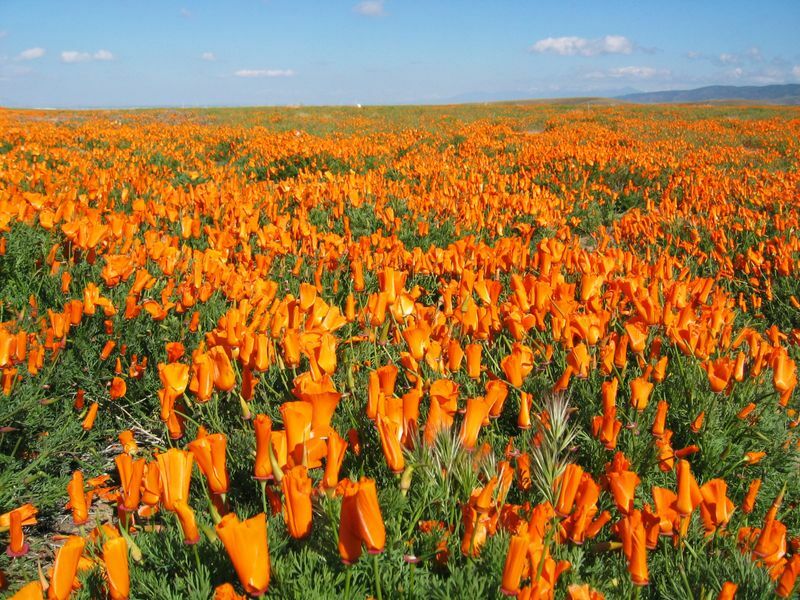 Join us at the 20th annual California Poppy Festival and view a historic timeline which showcases the past 100 years of Lancaster. Rare photos and details will show how Lancaster began as a community and has grown into a city of more than 156,000. Participate in building the new museum with an interactive display and voting booth, while learning more about the new Lancaster Museum/Art Gallery facility that will open on The BLVD in 2011. General Information– The Lancaster Museum/Art Gallery located at 44801 North Sierra Highway, will be closed to public access during the preparation for its move to its new facility. The new facility will open in 2011. For more information about LMAG and its programming, call (661) 723-6250 or log on to www.cityoflancasterca.org/Index.aspx?page=67 or www.facebook.com/lmag.lancasterfor updates. Lancaster City Hall General Information: Lancaster City Hall is located in Lancaster, CA at 44933 North Fern Avenue. Parking is available street side around City Hall, and in the corner lot on Fern and Kildare. City Hall Hours and Admission– Lancaster City Hall is open Monday through Thursday from 8 am to 6 pm and Friday 8 am to 5 pm; it is closed holidays. Admission to this exhibition is free, and open to the public. Lancaster Museum/Art Gallery, “25th Antelope Valley Union High School District Student Art Exhibition,” 2010. WEB: www.cityoflancasterca.org Closed Mondays, holidays, and between exhibitions, MMM wwwh www.facebook.com/lmag.lancaster Free admission and tours. Designed to keep presentations short and passionate, Pecha Kucha Night allows creative people to come together to share their ideas. Lancaster, CA March 17, 2011- The Lancaster Museum/Art Gallery will open its doors on March 19, 2011 from 6-8 pm for Pecha Kucha Night, an international phenomenon which has occurred in over 340 cities world-wide. Drawing its name from the Japanese term for the sound of “chit chat,” Pecha Kucha Night (pronounced peh-chak-cha) allows each participant 20 slides, with 20 seconds per slide to share their works and ideas freely, giving a total of 6 minutes 40 seconds before the next presenter is up. The format is designed to keep presentations short and passionate, allowing creative people to come together to share their ideas, works, and thoughts in a relaxed and informal atmosphere. The social networking event provides an opportunity to interact with creative thinkers and a wider public audience through exploration and interaction with the presenter’s current research topics or work process. The event is free and open to the public. Charles Hood, “The House that Jack Built,” 2011. Hi!I would like to enlist your help in pushing out a facebook promotion for the Jabberwocky after party taking place at the Lancaster Museum/Art Gallery this Saturday evening at 9:30 pm. Let’s build some buzz about this event! Please share this with your friends on your wall, through messages, invite them, whatever it takes. If you haven’t yet responded to our invitation, please do so it shows up in the feeds of your friends. We will continue to post about the event throughout the week, so please share as often as you can. Jabberwocky is designed to bring together those who want to attend a unique event, but don’t really do the gala thing and who wish support the museum at a smaller monetary level. This event complements the museum gala, Prism: Through the Looking Glass, as a more informal evening that will feature comedy, a dueling pianos show and DJ ASHA, who will spin for us until midnight. There will be a full cash bar available, wine by Leona Valley Winery and nosh by Lemon Leaf Cafe. Admission is $25 and tickets can be purchased in advance or at the door. All admission money will go to the Lancaster Museum/Art Gallery Associates to support the museum in its mission and to help it produce quality exhibitions and programs for the Antelope Valley. Please help spread the word and help the museum to reaise some money! Thanks! Street: 661 W. Lancaster Blvd. Politicon is the first and unique celebration devoted solely to the political arts. This convention of artists, by artists, and for artists, unites and brings us all together, regardless of political beliefs! It puts political issues in a palette of a rainbow of colors. Come have fun, be one, and enjoy the moment. Let the art speak for itself. Meet and greet the artists who made it all possible. Enjoy an evening of great art with a live musical performance by vocalist/pianist Marcela Carmona and her band as well as the jazz ensemble Off the Hook! Complimentary hors d’oeuvres and cocktails will be served (while they last). It is right on The BLVD in downtown Lancaster (across the street from BEX) see you there! Walk through the looking glass on February 26, 2011 for a unique evening celebrating 25 years of art, education, and culture at the Lancaster Museum/Art Gallery. “Prism: Through the Looking Glass,” the 2nd museum gala, derives inspiration from the glass architecture of the museum’s new building on The BLVD, and the spectrum of experiences that awaits within. The Jabberwocky after party kicks off at 9:30 pm featuring cocktails, nosh and dueling pianos from 2 Grand Entertainment followed by a DJ. Enjoy an evening of art and entertainment and be among those supporting the community’s long-standing resource for art, history, culture, and education. Prism gala tickets $100; Jabberwocky after party tickets $25.